Hawaii events, festivals, concerts, workshops, seminars and more! All Islands or your Island! Plan ahead for your next Hawaii Vacation or find out what's happening on Oahu today. Search and Find: Music, Workshops & Classes, Family Events, Sports, Festivals, Exhibits, and more. Healthy Variations of local Favorites. includes recipes! Green Business Directory - Seeking Sustainable, Eco-Friendly Hawaii Businesses! Try this list of local wisdom and remedies to alleviate the symptoms of vog. An informative statewide tour with best selling author and international speaker Jeffrey Smith, presenting on the Dangers of Eating GMO Foods. Presentations are free and open to the public. Dodi Rose reviews Cheff Todd Dacey's newest cookbook. Just in time for a Healthy Holiday! From Sushi, Indian, Spanish, to Raw food desserts! 70% of all cases of U.S. leptospirosis come from Kauai and the Big Island. Oahu "The Gathering Place" mixes cultures and traditions to create its own style of health care. On Oahu one can select from a variety of health professionals offering allopathic, traditional or complementary health services from health practitioners trained in both Western and Eastern traditions. Residents from much of Polynesia, the Philippines, and parts of Asia, including Japan, come to Honolulu for continuing education and medical treatment, often provided in a native language. Take a yoga class, join a paddling club, roller blade through the park, learn tai chi, walk through Waikiki, learn about Hawaiian traditional medicinal plants at a botanical garden. An extensive network of hiking trails, easy access to swimming and snorkeling, bike paths, beach parks complete with surf board rentals and life guards, healthy restaurants, canoe paddling clubs and health clubs make Honolulu an easy city to stay fit and trim with one of the highest longevity rates in the nation. The UH John Burns Medical School is developing a Complementary and Alternative Medical (CAM) curriculum and building a new medical school in downtown Honolulu. There are also four Community Colleges offering technical health and nursing programs as well as Acupuncture and Chinese Medical colleges and several massage schools. Historic China Town district is one place to find Traditional Chinese Medicine Practitioners offering acupuncture treatments and chinese herbs. 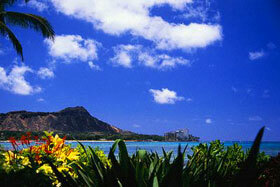 92% of the state population resides on Oahu's 607 square miles. 10% of Oahu's population is military related with all 5 branches of the military having presence, training and medical facilities including Veterans' Hospitals on Oahu. The Hawaii State Government and State Legislature, The Department of Health, The Department of Education, and the Hawaii Tourist Authority as well as the The Department of Commerce- (overseeing licensing requirements, testing and health regulatory boards) are all based in Honolulu. Check out Oahu Health Talk before packing your bags. The Oahu Health Guide can also help you locate hospitals, massage therapists, unique accommodations, public health clinics, surf lessons, and provide a safety guide to hiking and ocean sports activities.